For more than 70 years Swiss engineers at Precisa Gravimetrics AG have been honing their craft, developing their designs and refining their manufacturing techniques to ultimately produce a balance range like no other. At Precisa, engineers have maintained close cooperation with universities, technical colleges, colleges of applied science and laboratory professionals the world over, to ensure that product innovations meet the latest technological requirements. Precisa instruments contain the features necessary to perform tests accurately and record results simply and efficiently. 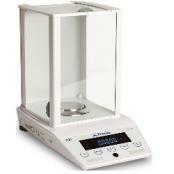 The force-compensating measuring cell developed by Precisa is characterized by outstanding precision and durability. The cell is manufactured by hand to meet the strict demands that automated cell production cannot fulfill. 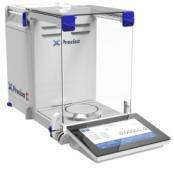 The self-calibrating system developed by Precisa enables true automated balance calibration. 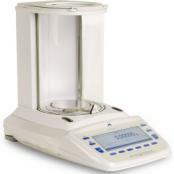 The function features a programmable temperature and/or timer function which ensures that your instrument is always calibrated precisely for compliance with GLP requirements. Data can be transferred easily to systems within your laboratory via a USB or serial interface (LIMS). Precisa’s new, advanced insert technology, featuring the slide-in module, provides a range of connection options. The interchangeable inserts assure connection to future communication technologies. The lineup of Precisa Balances are listed in 3 different categories. Executive Pro, highest performance available. 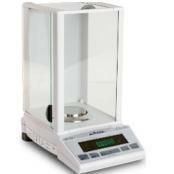 Laboratory Superior Standard, high build quality, excellent performance to specification. Laboratory Prime, Solid Performance with good characteristics. 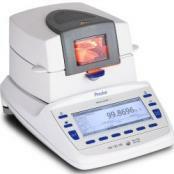 Precisa Executive Pro Semi-Micro BalanceExecutive Pro Semi-Micro Laboratory Balance with Force Compensation By Precisa includes intuitive graphic interface, IR Automatic Sensor Draft Shield, integrated Applications. SCS Self-Calibration System. RS-232 / USB Interface. Optional: Bluetooth, Wi-Fi, Networking. Made in Switzerland. 125 and 225 gram capacity. Precisa Executive Pro High Precision BalancePrecisa Executive Pro High Precision Force Compensation Balance features Integrated Applications, SCS Self-Calibration System, Standard: RS-232 / USB Interface. Optional: Bluetooth, Wi-Fi, Networking. Optional Communication Slide-in Modules. Capacities from 320 grams to 2220 grams. 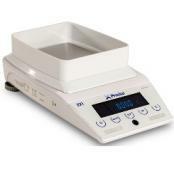 Precisa Laboratory Superior Precision BalancePrecisa Laboratory Superior Standard Precision balances feature Force Compensation, Vacuum Fluorescent Display, User-Defined Settings, SCS Self-Calibration System, RS-232 / USB Interface. Swiss designed technology and Swiss robust build quality make this the reliability standard of the industry. 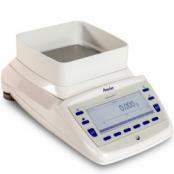 Precisa Laboratory Prime Analytical BalancePrecisa Laboratory Prime Standard Force Compensation Analytical balances designed, temperature compensated and inspected in Switzerland, these rugged series are built to withstand the rigors of tough industrial conditions. These versatile machines deliver results – simply.